We love battery packs for keeping our phones charged when we're out and about (and don't feel like spending the day cafe-hopping in search of an outlet). The only problem? They're easy to forget at home. So it's no surprise we're pretty excited the the world's thinnest battery-charging case is now 53% off…so excited, in fact, that we suggest you snag one before we beat you to it. Grab the ThinCharge for $59.99 at Techlicious Deals. 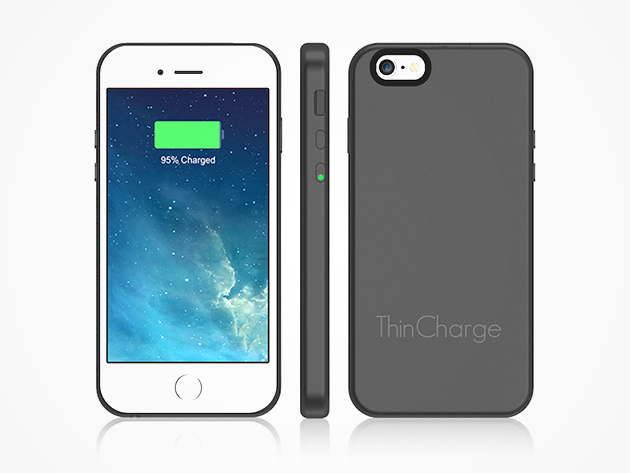 You won't forget your charger when it's firmly attached to your iPhone 6 or 6S—and thanks to the ThinCharge's super-slim design (the world's slimmest, remember? ), you'll barely notice it's there. Until, of course, it's saving the day, giving you 200% battery charge when you're on the go. Activate the battery with the push of a button and continue using your phone as normal (it has cutouts for your speaker and camera). The LED indicator light will let you know when your phone is fully charged. Get extra power without extra bulk. 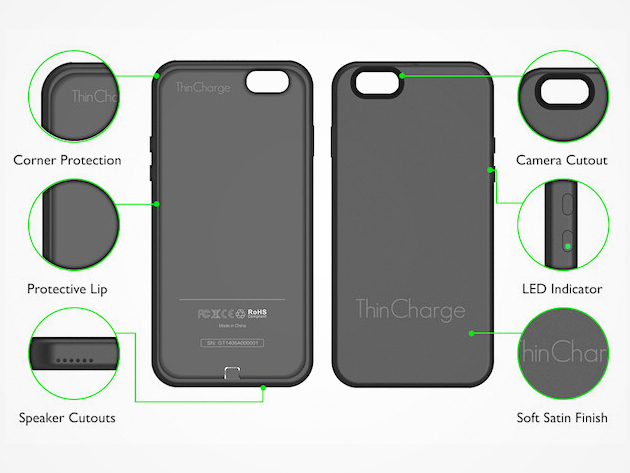 Get the ThinCharge battery-charging iPhone case for $59.99 at Techlicious Deals. techlicious posts on this website its really amazing website thank for share such a best blogs.